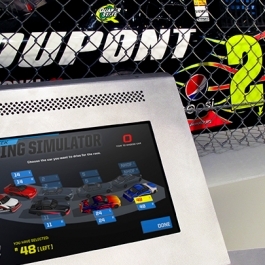 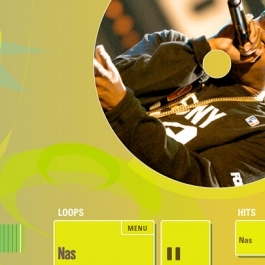 Multimedia soundscapes, 3D models, 3D animations, multitouch tables, and interactive kiosks. 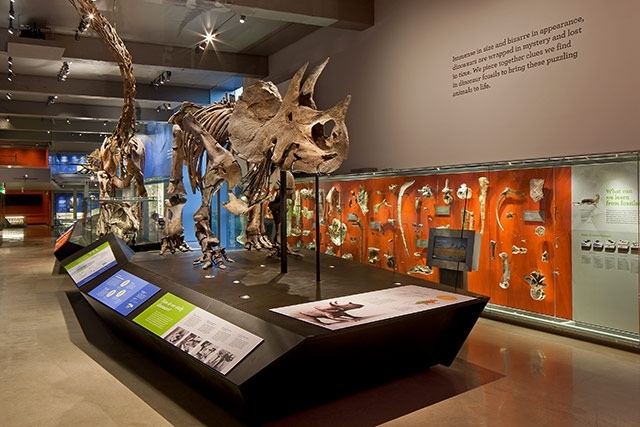 Opened in 2011 as part of the L.A. County Natural History Museum’s sweeping, $135 million dollar centennial renovation, the 14,000-square foot Dinosaur Hall has taken its place among the great dinosaur exhibits of the world. 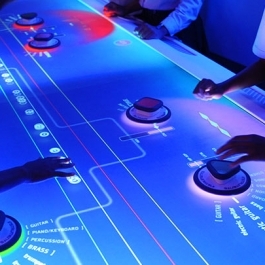 For the new wing, Unified Field created a number of multimedia interactives packed with 3D animations, digital soundscapes, interactive movies, touch tables and multi-touch games. 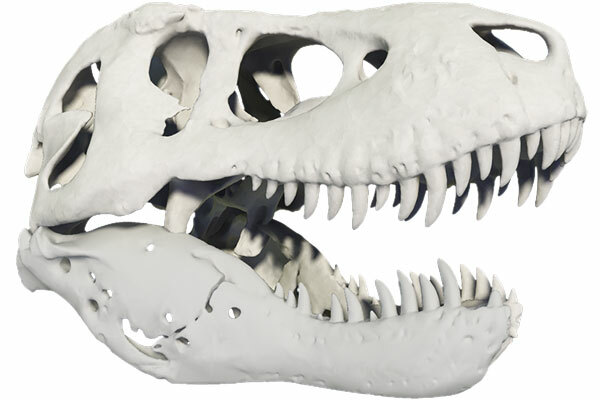 Dinosaur Hall’s newest superstar is Thomas the T. Rex, one of the world’s most complete Tyrannosaurus Rex skeletons. 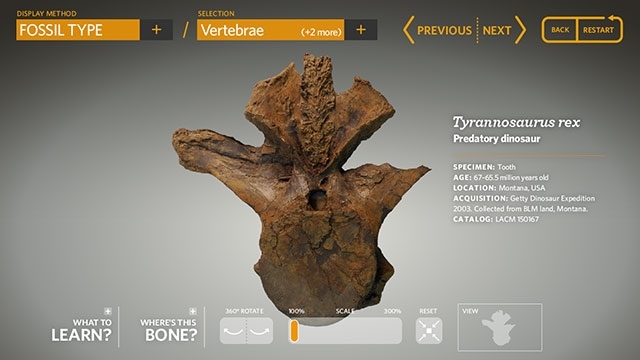 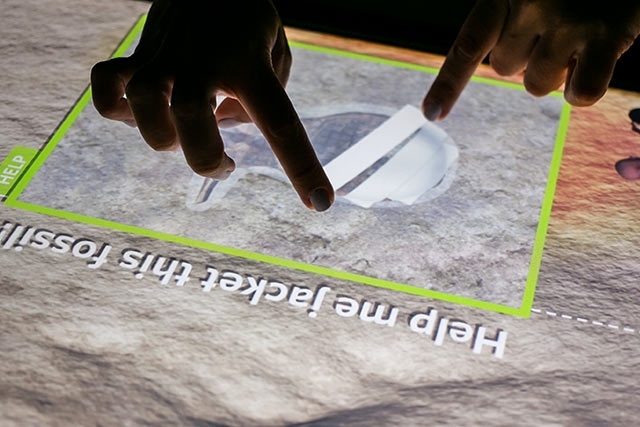 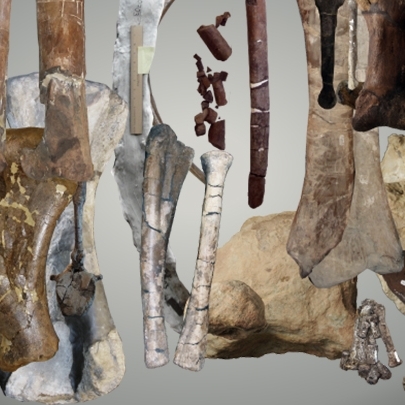 To celebrate the life, death and resurrection of this prehistoric beast, Unified Field created a multi-user, interactive touch table with 3D animations. 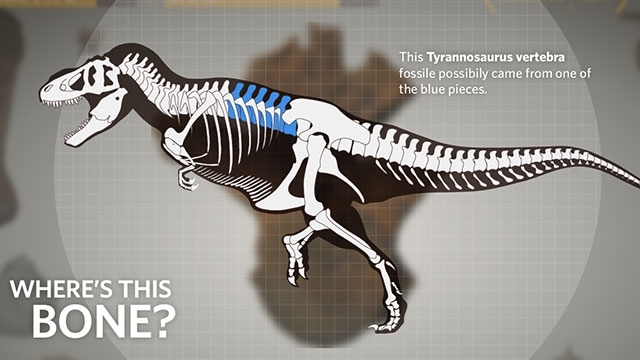 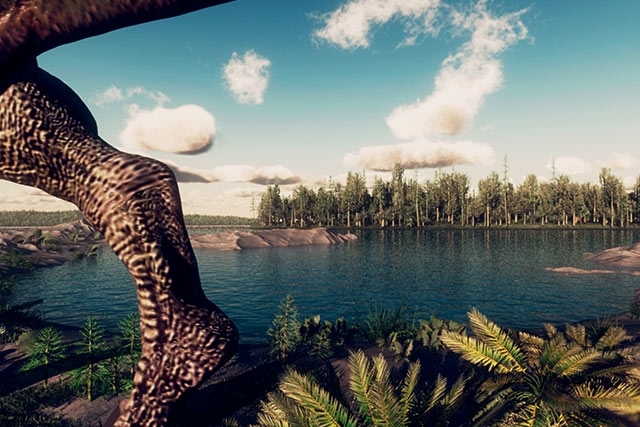 Have you ever wondered how a T. Rex ran, walked, and chomped down on its prey? 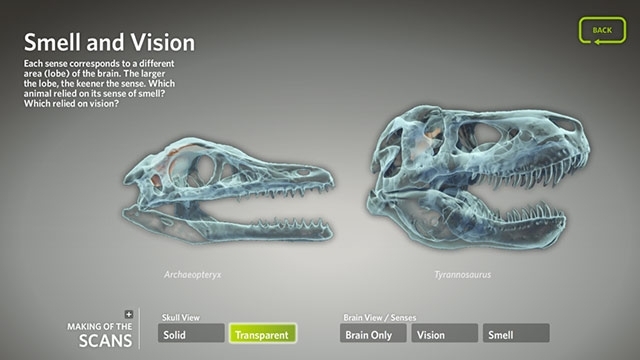 Our 3D models tell these stories and more throughout Dinosaur Hall. 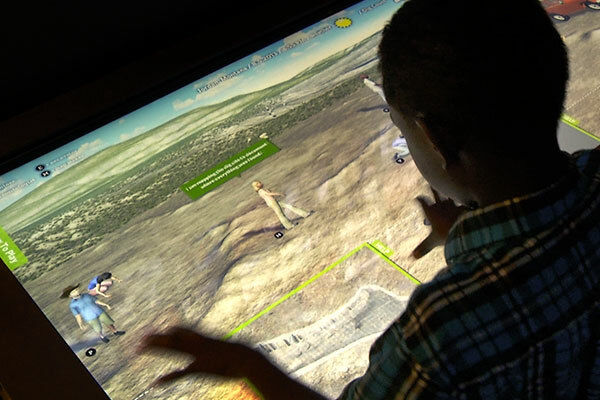 In this fun drag and drop museum interactive kiosk, visitors can use fossils found at paleontological digs to virtually recreate three environments from the Mesozoic Period. 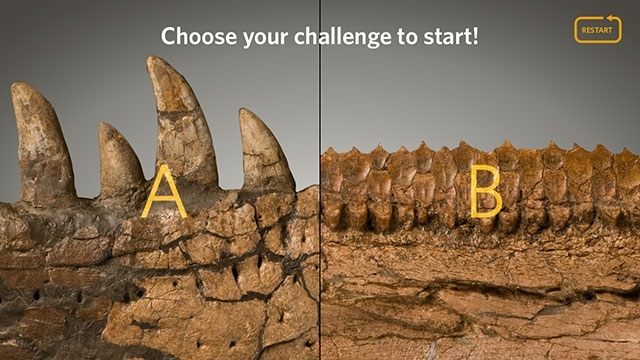 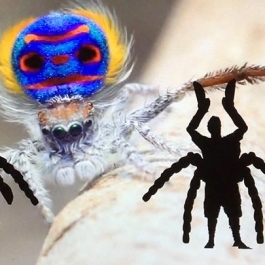 Guests select fossils which are then transformed into images of living creatures and placed into a digital diorama. 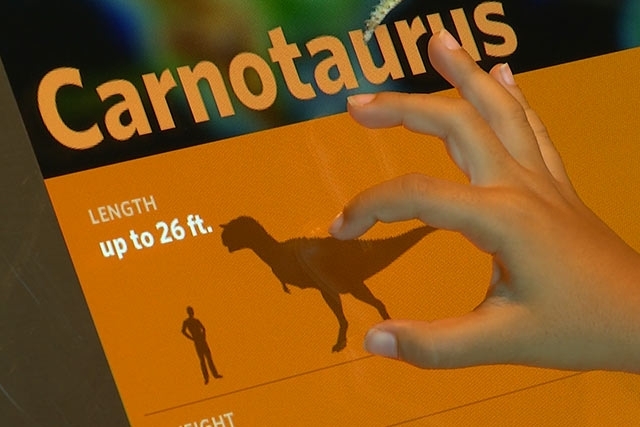 When guests want more information about fossils displayed in Dinosaur Hall, they can turn to the Fossil Wall touch screen interactive kiosk. 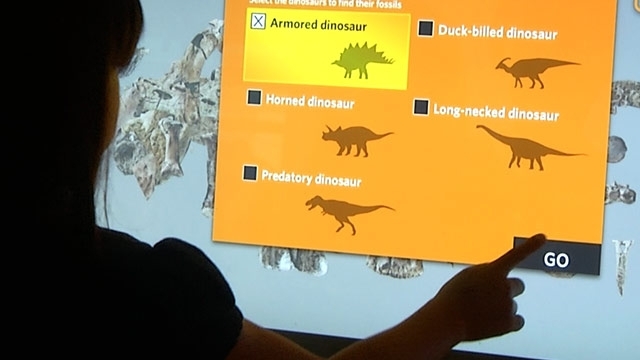 The kiosk makes it possible for visitors to navigate a virtual catalogue containing information on every physical specimen mounted in the fossil wall.